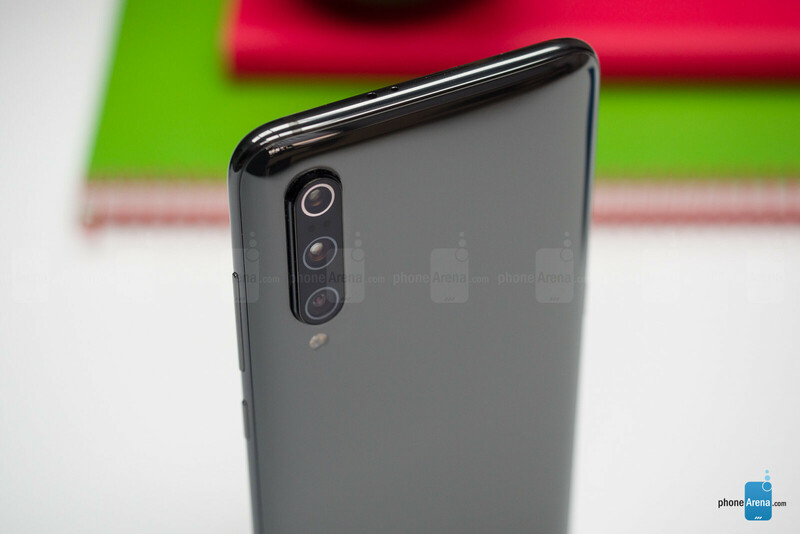 The Xiaomi Mi 9 is the company’s first phone with the latest Snapdragon 855 and it’s ready to go head to head with the big-name flagships of 2019. Xiaomi is upping the ante in almost every aspect, but it still had to make compromises to keep the price lucratively low. So what is the final result? Time to find out! 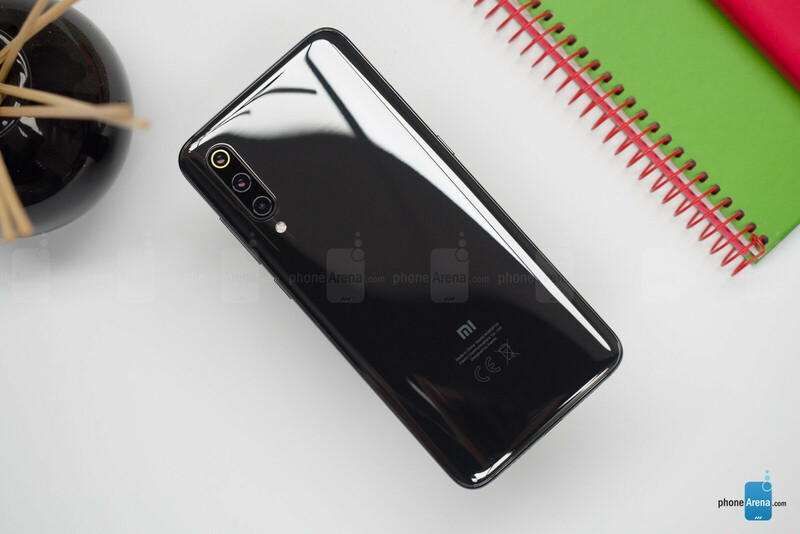 The Xiaomi Mi 9 is designed like most other smartphones in its class. 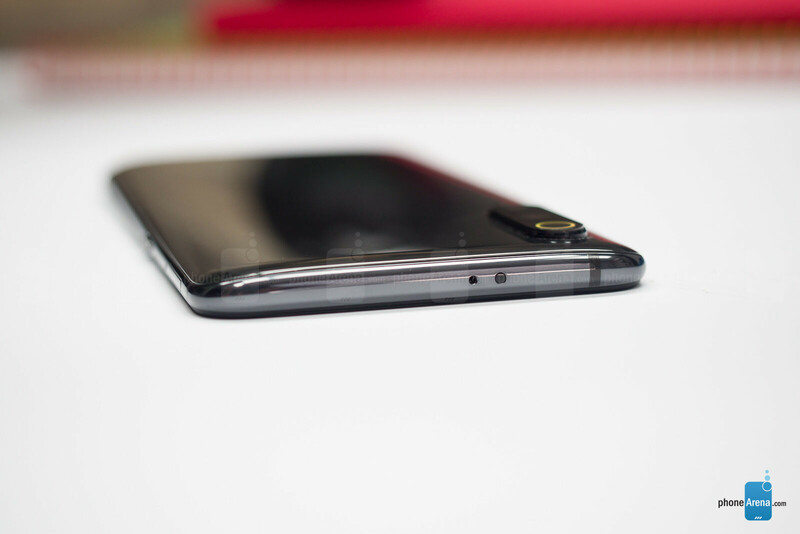 It has a tall, 19:9 display, a small teardrop-shaped notch at the top, and a thin bottom bezel. Size-wise, the Mi 9 is in the same category as most big flagships today, such as the iPhone XS Max, the Galaxy S10+, and the OnePlus 6T. Despite its dimensions, we found it easy to handle and use. Xiaomi did a good job at finding the balance between size and comfort. On the back, you get what Xiaomi calls “holographic glass design”. What that means is basically “fancy reflective back.” It does look nice, but the downside is that you’ll see every small smudge, fingerprint, and whatever else left its mark on the back, which kind of ruins the nice impression. It’s not as slippery as some other glass-back phones, but you’d definitely want to handle it carefully. That’s not going to be a problem if you’re using a case, which you might prefer to do since the camera bump is sticking out quite a lot. Speaking of which, there are three cameras on the back, but the most notable design element is the reflective ring around the main sensor. It catches the light and gives out a different color depending on the angle. 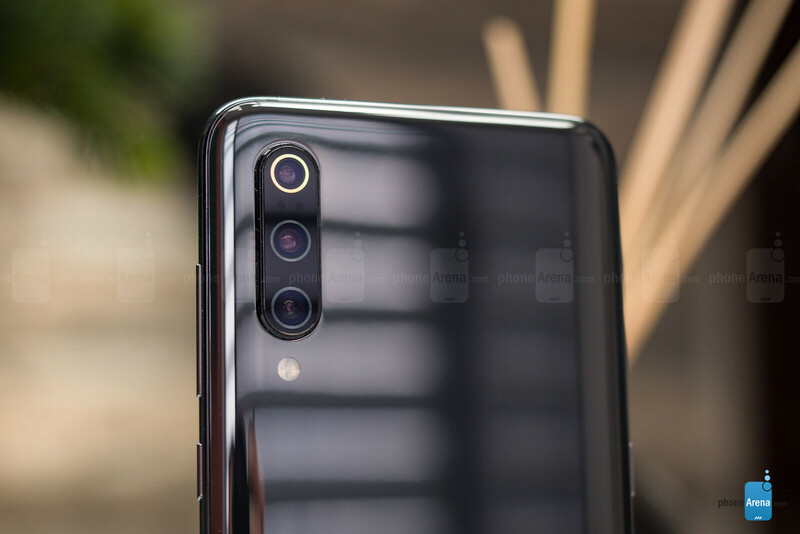 Personally, we think it’s a nice touch and separates the Mi 9 from all the other phones with similar camera modules, but we can see how some might find it tacky. The build quality of the Mi 9 is very solid, as the phone feels and looks just as nice as any other premium smartphone. There’s little more Xiaomi could have done in regards to design. 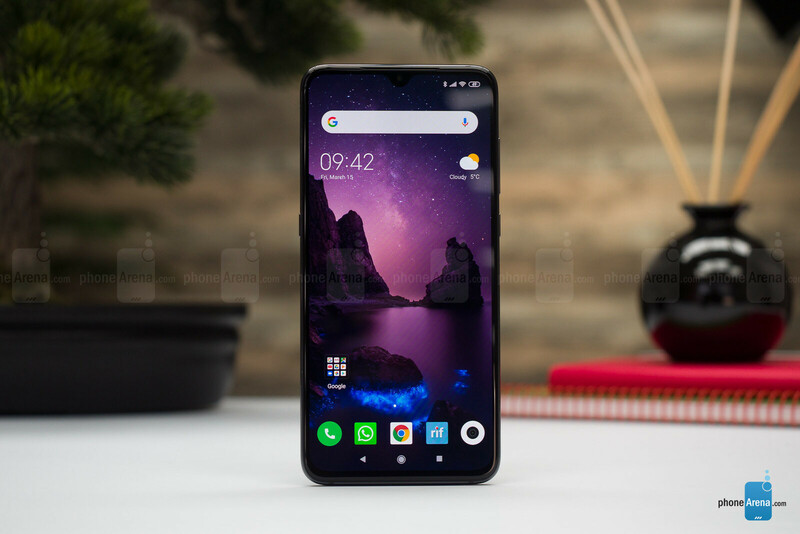 The Mi 9 has a 6.4-inch AMOLED display made by Samsung with a resolution of 1080x2340 pixels and protected by Gorilla Glass 6. Most high-end phones have screens of higher resolution, but even a 1080p one looks sufficiently detailed at this size. Besides, having a lower-resolution screen saves battery and keeps costs down. Colors are vivid and bright, and we found ourselves occasionally unlocking the phone just for the eye candy that the wallpaper provides. The notch isn’t a problem either. Because of the taller aspect ratio, it does not cover any content whether you're watching videos or playing games, unless you force a YouTube video to fill the entire screen. Xiaomi’s software has one major problem that's present on the Mi 9 as well: notification inconsistency, it's been a weakness since MIUI 10 came around. Regardless of your settings, notifications from some apps appear on the lock screen, while those from others don't. There might be no indication at all you received one. Until you unlock the phone and pull down the quick toggle menu, you have no idea exactly what notifications you have. That's not only annoying, but can cause you to miss critical reminders. While using the phone, notifications are hard to keep a track of as well. Icons on the status bar hide after a few seconds and we couldn’t find a way to stop that from happening. After a while you do get used to pulling down the menu to check if there’s anything new, we’d rather not have to do that. On the positive side, MIUI has a lot of features giving you more control over the behavior of your apps and phone as a whole. For example, you have a Sound/Mute toggle button in the quick settings menu and a separate toggle next to it for turning the vibration on or off. Then there’s Dual Apps, which allows you to use apps like Instagram, Facebook, or Twitter with two different accounts. You can also use the Second Space feature to basically create another “phone” within the phone. You can access it via pass code or fingerprint and it can have a completely separate set of apps, accounts, picture galleries and so on. You can use it for your kid without worrying that anything important could get deleted. Overall, our experience with MIUI wasn’t bad. It’s just slightly different, and as with everything, it takes some time to get used to. When it comes to functionality, there are two notable hardware features on the Mi 9. The first one is the in-display fingerprint reader. 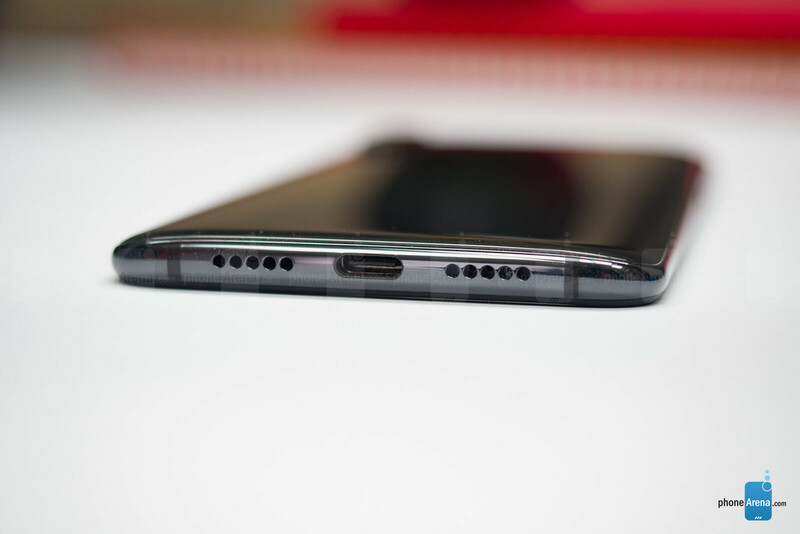 Unlike the Galaxy S10, Xiaomi’s flagship uses an optical sensor similar to those on the Huawei Mate 20 Pro and the OnePlus 6T. As expected, it’s not as good as a regular one (or the ultrasonic one on the S10) but it’s not too bad either. Sure, it won’t read properly if your finger is wet or dirty and occasionally you do have to tap twice. However, once you get used to the way it works, you get a lot fewer bad reads and it almost never annoys you (almost). One of the best things about it is the location. It’s exactly where your thumb would naturally rest when you hold the phone. There’s no face unlock feature on the Mi 9, which is a bummer. We’d like to have one for convenience’s sake even if it’s not as secure as a fingerprint. A feature worth mentioning is the dedicated Google Assistant button. Xiaomi calls it the AI button, but one of its functions is always to activate GA so we might as well call it what it is. 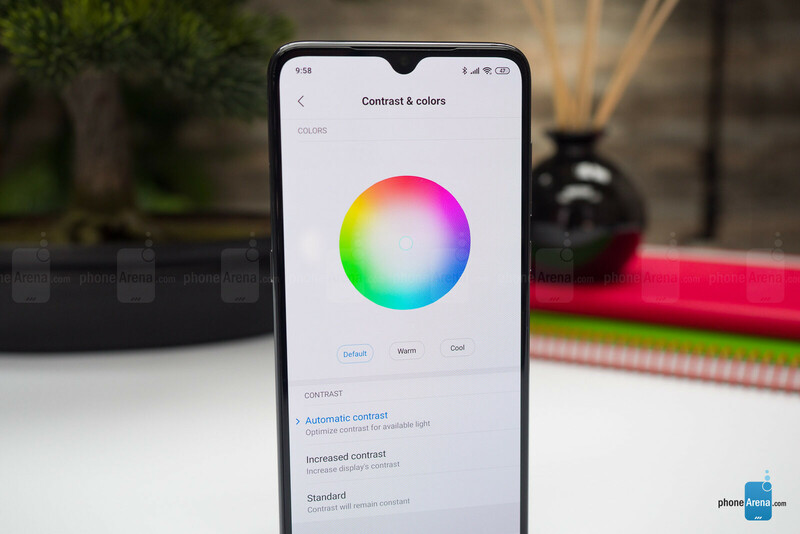 You can, however, choose other functions for a double press, but the choice is limited to what Xiaomi deemed suitable: opening one of the cameras, turning on the flashlight, returning to the previous app and a couple more. There's no option for launching an app of your choice. The button allows you to quickly launch Google Assistant even without unlocking your phone, which does add some convenience, but the button itself tends to get in the way, so accidental presses are not uncommon. As we mentioned at the beginning, the Mi 9 has the Snapdragon 855 on board, and you can’t get anything better on Android right now. When it comes to everyday use, we have no complaints. Apps open and switch quickly, swiping is smooth and everything is very responsive. Of course, that might change over time, but our experience in terms of performance was nothing but positive. When it comes to heavy 3D games, the Snapdragon 855 handled PUBG on high settings without much effort. Even after prolonged gaming, the device was just a bit warm and with lighter games, we didn’t notice any temperature rise at all. The 6GB of RAM on the base variant should be enough for most users. We didn’t notice any reloading of recent apps during our time with the Mi 9. Base storage could have been more, however. 64GB on a flagship phone, affordable or not, shouldn’t be a thing in 2019. The camera department is where Xiaomi made some changes that might have not been for the best. 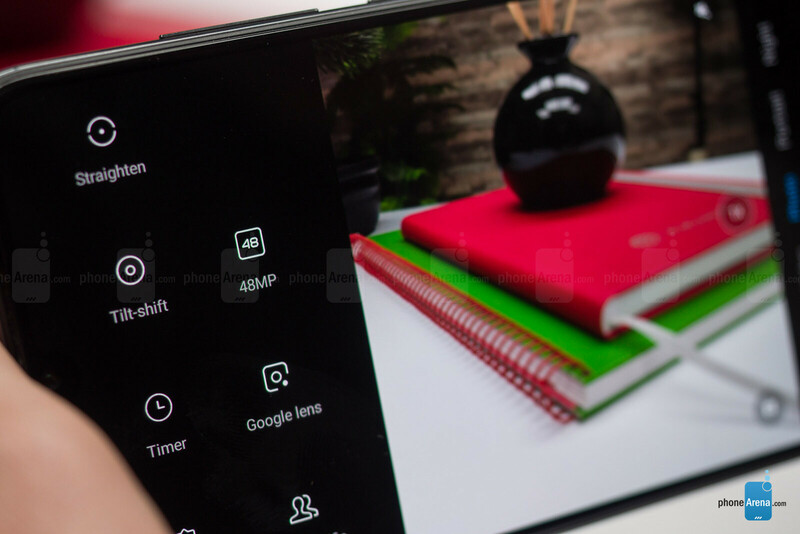 The new Sony 48MP sensor has replaced the 12MP on the Mi 8. And while that’s an huge bump in megapixels, the new camera comes without optical image stabilization. OIS is super useful when recording videos and taking pictures in low light to compensate for your hands’ movement. Coincidentally (or not), the 48MP sensor aims to compensate for the lack of OIS. For Night Mode, Xiaomi combines four pixels into one to reduce image noise and improve light capture. Overall, we’re satisfied with the Night Mode of Xiaomi’s camera. It’s no Google Night Sight and won’t take impressive pictures in almost complete darkness, but when there is a source of light close by, the images are definitely worth a share on social media. Shooting without Night Mode and with limited light, however, will result in dark and often blurry images. During the day, the Mi 9 takes great pictures at the default 12MP resolution setting. In order to use the full 48 megapixels, you must switch to the dedicated 48MP mode in which case you lose some other features like HDR, for example. We would only recommend the 48MP mode if you want to crop the image after the fact or make large prints of it. When zooming in on a subject, the 2x telephoto camera would usually take a higher-quality photo. Portrait mode works nicely on both the main camera and the selfie one so your bokeh game will be on point! Speaking of selfies, the 20MP front-facing camera on the Mi 9 does a great job in that department. Of course, it might struggle a bit in low light, but that’s normal. The two other rear cameras are a telephoto one with 2x zoom, which is useful in the situations you might expect (you know, zooming on stuff). With this camera you’ll get better details than using 2x digital zoom from the main sensor, so if you’re looking to capture some distant object, it’s your best option. The third camera is an ultra wide-angle one. It does allow you to fit more in the frame, as you can see from the provided samples, but there’s a noticeable reduction in sharpness when using it. This camera is also used for a mode called Full-body Portrait, which is a cool feature to have. When it comes to videos, while the picture quality is good, the lack of OIS becomes very apparent. Even at 1080p and with “Image stabilization” turned on, the video is far from smooth and that’s just when holding the phone in hand without walking. Video is much more steady when using the wide-angle camera, but then you lose fine detail. Sound is not the strongest quality of the Mi 9, which only has a single loudspeaker at the bottom. The phone does not use the earpiece speaker for multimedia playback. The speaker gets decently loud but won’t impress you with its quality, that’s for sure. Call quality is good but there are a couple of quirks here as well, likely due to the speaker’s position between the display and the frame of the phone. The first one is that when you hold the phone during a call, you feel the back slightly vibrating as if there’s a speaker underneath it. The other is that if you want to hear the other person a bit louder, you have to hold the phone at a slight angle so that the speaker is pointing more towards your ear. 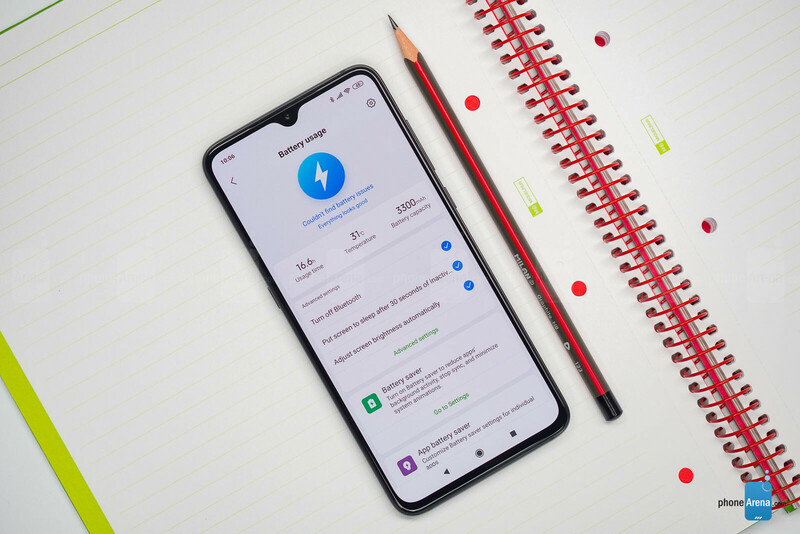 The Mi 9 comes with a battery slightly smaller than that in its predecessor (3300mAh vs 3400mAh). It is also relatively small for a flagship phone of this size, although battery life is okay overall. With regular use, we had to charge the phone about once every day and a half. But if you're a heavier user, you may need an evening boost if you plan on going out. To give you a better idea of how long the battery lasts, a 30-minute video at full brightness will cost you 6% of charge, while 30 minutes of heavy gaming will take away 10%. Charging the Mi 9 with Xiaomi's powerful 20W wireless charger (sold separately) takes only 1 hour and 21 minutes, making this the fastest wireless charging we've ever tested. Now it’s time to mention the biggest factor in favor of the Mi 9: the price. 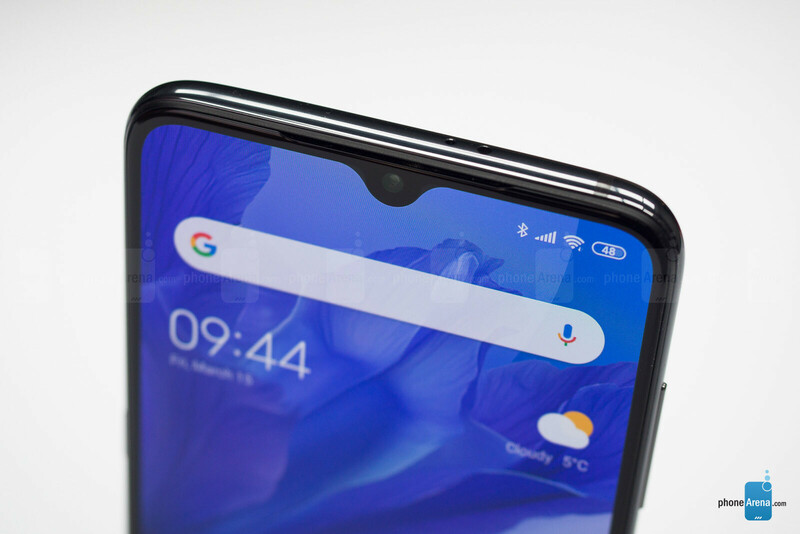 The Mi 9 isn’t coming to the States officially, but in Europe, it sells for around 449 euro (roughly $509) while the Galaxy S10 costs 899 euro (roughly $1,020) over there and the OnePlus 6T, arguably the Mi 9’s closest competitor, is 549 euro (around $624). So while the Mi 9 has some drawbacks, the value you’re getting is immense. 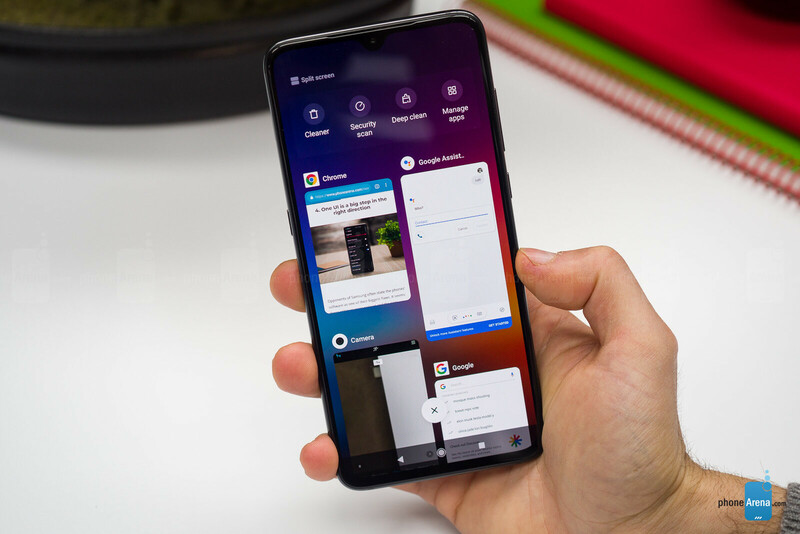 Still, if you’re on the lookout for a flagship phone and you value a simpler, cleaner software experience, you might want to wait for the OnePlus 7.
i have this in the US, and love it, i just needed to tweak the notification issues within MIUI and i decided to download Nova Launcher. with android you can customize everything and i LOVE IT! Wut? OIS help video a lot. You are wrong. OIS is very useful for videos. The lack of OIS is disappointing. But they had to cut costs since it's a budget phone. OIS is the physically-correct way to stabilize images and videos. Anything else comes with a drop in resolution and viewing angle. Mi 9 is a great value and you get most of the flagship features minus water resistance and headphone jack, no stereo speakers. "Add P/D, manufacturing costs, marketing, taxes, transportation of components and devices to other countries" And you think Xiaomi and OnePlus didn't have this kind of cost? Is there no battery life test benchmark? It's very important to consumer! AGAIN 1600x1200 camera SAMPLES? IS THIS A JOKE??? FULL RESOLUTION PHOTOS!! Why is lack of face unlock a con? Because iPhone's features is the base line in this site. It also doesn't have an IR Blaster. Why isn't that a con? Because like face unlock it's not a necessity. It doesn't have a physical keyboard either. Make that a con too PA. SMH. skipped quickly past that antutu number huh? He hopes nobody notice that, lol..
"There’s no face unlock feature on the Mi 9, which is a bummer. We’d like to have one for convenience’s sake even if it’s not as secure as a fingerprint." This is not true, it does have face unlock which works pretty fast in most situations except for very low light ones. And yeah, I'd have to agree it's not as secure as the fingerprint unlock.